Robert Mugabe’s son posted a defiant message on social media on Sunday before his dictator father refused to release his grip on power. Using the name of Mugabe’s clan, he added: ‘Gushungo will always remain the champion of champions! Robert Mugabe, 93, had been widely expected to resign on Sunday night as he gave a speech from the capital Harare, but sensationally failed to do so. Surrounded by a cabal of generals who have been keeping him under house arrest, the 93-year-old instead vowed to clean up tensions within the party himself. He announced a party conference would take place within the coming weeks and vowed to preside over it, despite being removed as party leader earlier in the day. Military officials say plans to impeach Mugabe will now go ahead on Monday. It is not known where Chatunga Mugabe currently is, or whether he had advanced knowledge of his father’s plans. Chatunga and his brother Robert Jr had been living in South Africa before the military seized power earlier this week. They have not been seen in public since. Their mother Grace, whose grab for power prompted the turmoil that is currently gripping Zimbabwe, has also been hidden from the public eye. It is believed she is under house arrest in Harare, but this has not been verified. Her future, like that of her husband, is also in doubt amid reports that several high-ranking political allies have been kicked out of the party and may face prosecution. It is unclear if she will face court alongside them, and it is understood that Mugabe has been demanding guarantees over the safety of his wife and sons during his negotiations with the military. Chatunga and Robert Jr are known for their party-hard lifestyle funded by their father’s money which they regularly flaunt on social media. 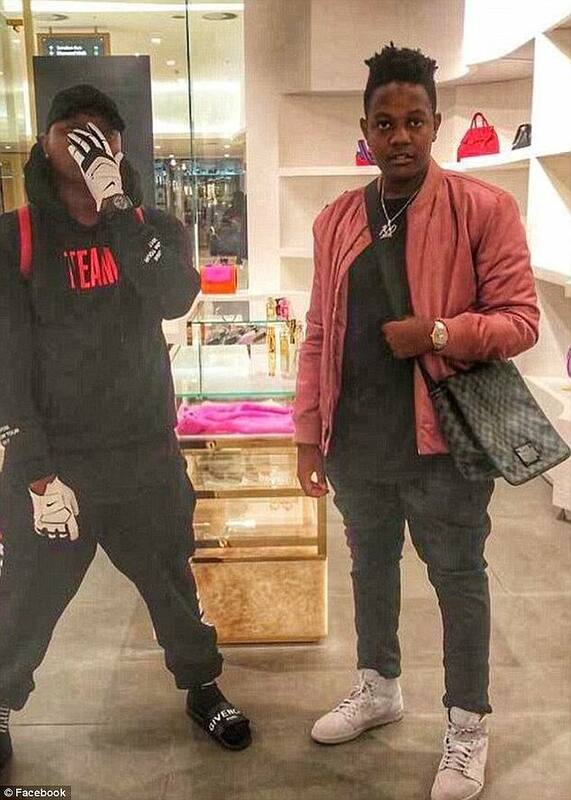 Last week Chatunga uploaded a video to Instagram showing himself pouring two bottles of £200 champagne over a £45,000 watch while out clubbing, while his fellow countrymen struggle to make ends meet.